Are you a new married couple who always wants to be in a romantic atmosphere? Are you a man who is planning to surprise your wife with a different look of your bedroom tonight? If you are one of them, I would say congratulation. By visiting this website, you are one step closer to make it real. Is it that essential to create a romantic bedroom? Of course, I would say big yes! 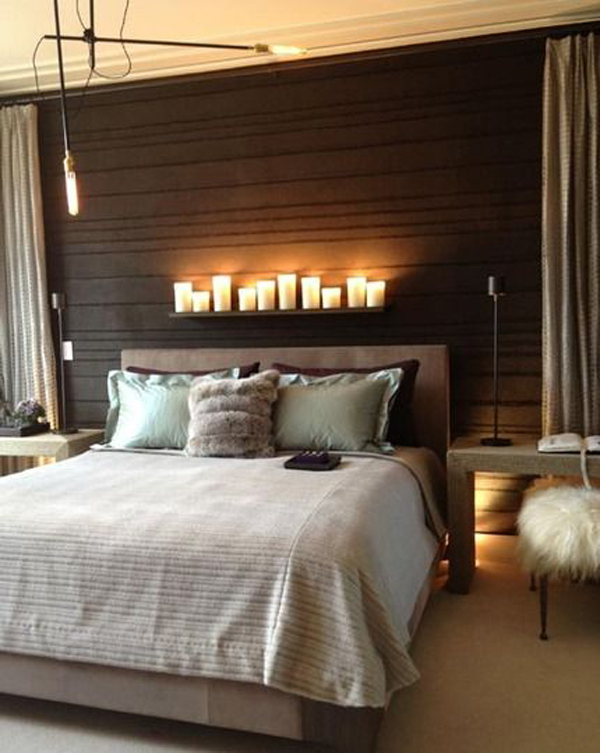 Creating a romantic bedroom is important to create a warm, cozy space for you and your couple. Only if you could believe it, a romantic bedroom would be able to make you fall in love each other every day. There are so many ways to create one that could melt your couple’s heart. Some of them have been summarized in these romantic bedroom ideas below. 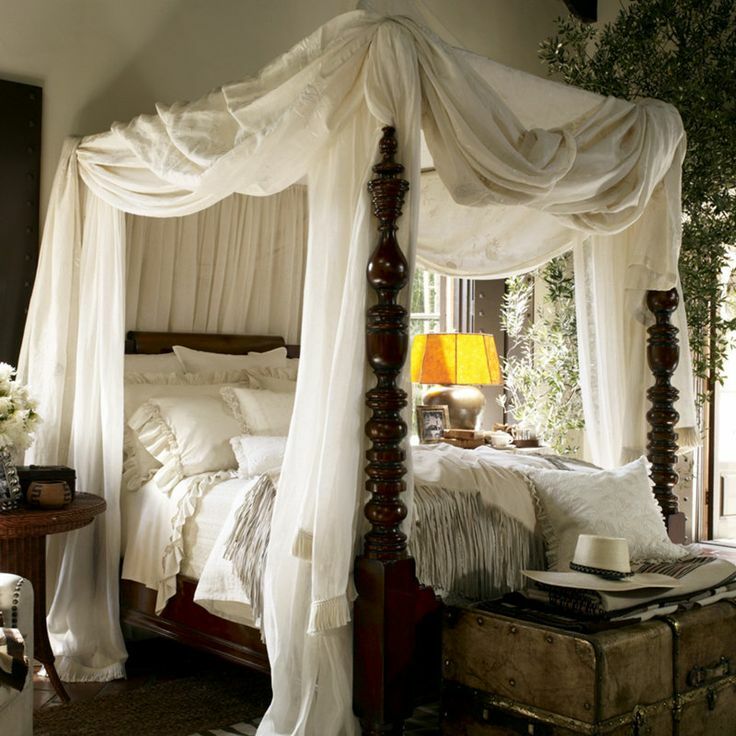 A canopy bed has been an option for many interior designers to create a romantic bed. It is a simple thing that could be used to achieve a warm and comfortable ambiance. Soft hues for the canopy would certainly add the coziness. Lying on the bed with canopy would make you feel like birds in the nest. No other feeling except serene being next to your couple from the dusk until dawn. 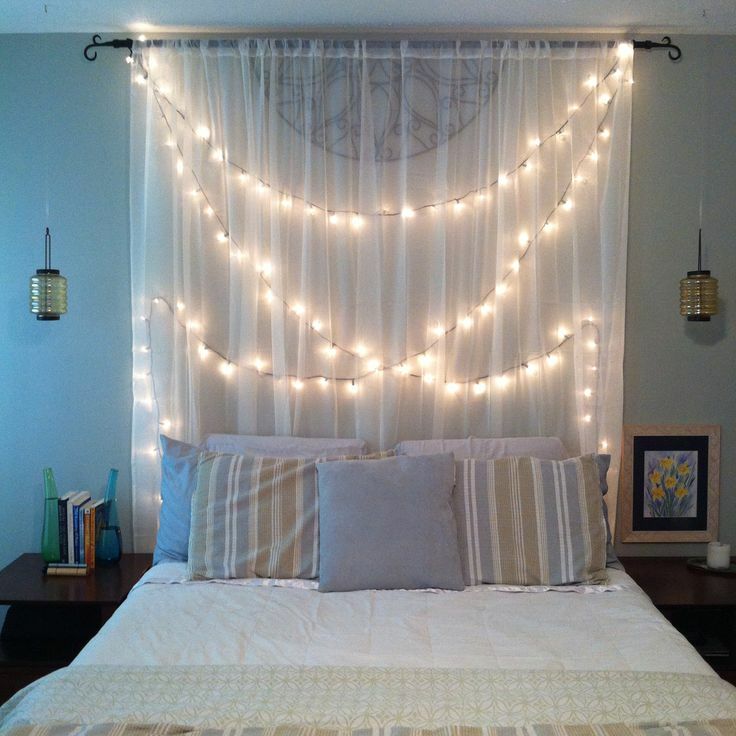 After using a canopy, you may add your bedroom decoration ideas with the string lights. It is more than perfect to create a stunning look and to bring a romantic ambiance to your bedroom. The best place to install it is behind the canopy on the headboard your bed. By this way, the lights of the lamp would be softer, and romance atmosphere would even be stronger. This one is the most favorite way in the world to create a romantic bedroom. It gets high popularity because of its effectiveness in bringing a cozy feeling from the soft lights it produced. 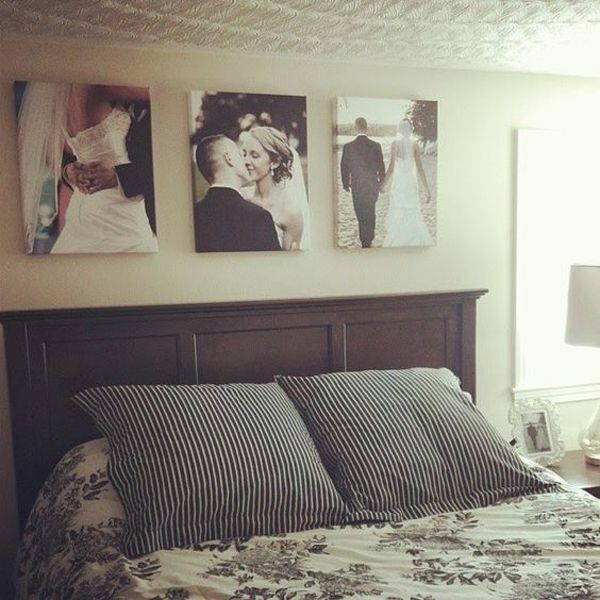 Just ask everyone about what would they use to make their room more romantic? The answer will be definitely this, candles. They are perfect to be put above your bed headboard. They even could be nice to be put just everywhere around your bed. Choosing candles that have aromatherapy is nothing but brilliant to give you a better feeling while sleeping. Which girl in this world who does not like a flower, especially rose? Red rose has become a symbol of love for centuries. It has aromatherapy smell, sensual color, and represents beauty in each petal. Those reasons are more than enough to put rose to decorate a romantic bedroom. Spread over its petals on the bed so you can feel their softness and breathe their nice smell when you lay your body on the bed. 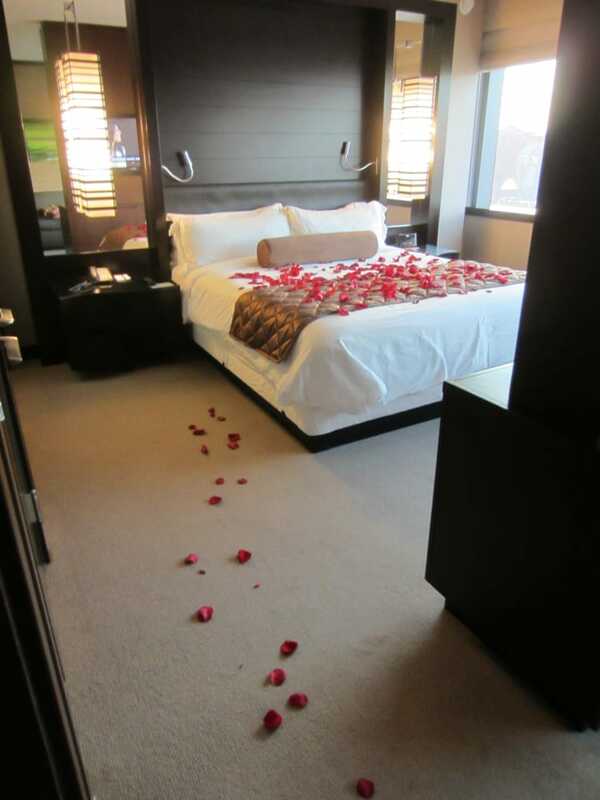 Spreading it from the door on the way to the bed would make you feel like being welcomed to this romantic room. 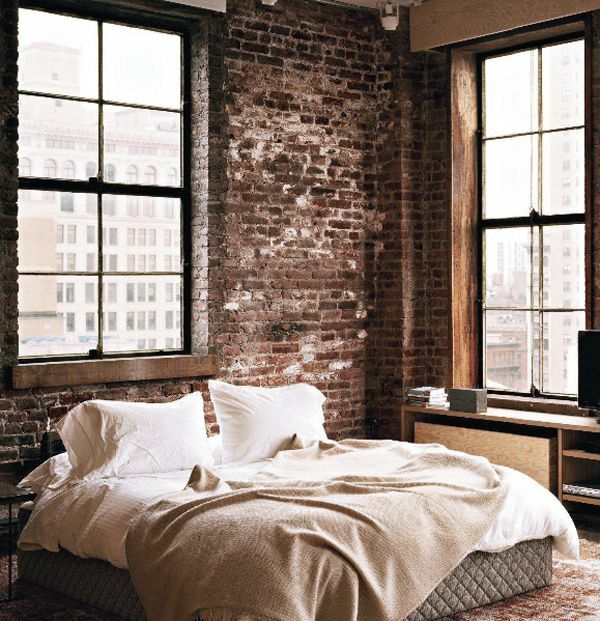 This one is not less important to be used as romantic bedroom ideas. Romantic words send love massage every time you read them. You will be reminded to always kiss your couple every night by putting the decals in your bedroom. Be creative, search for the best love quotes from love experts like Kahlil Gibran or Victor Hugo. Romantic words that come from your own idea would melt your couple’s heart more. Another great idea is combining the words with pictures. Always make sure to synchronize the color of the words or picture in the decals with the color scheme of the bedroom. “A picture is worth a thousand words.” (Napoleon Bonaparte). Should you choose the best way to create some bedroom decoration ideas for your romantic bedroom, always remember to put romantic pictures of you and your couple around the bedroom. Hang them on the wall or just simply put them on the table with a beautiful frame. Any pictures from your wedding or from the nice moments when you are dating would be ok. Those pictures would be a magical thing that could let you experience the scene of your romantic moments there every day. Once you mad and have a little argument with your couple, the pictures would remain you to the best moments you pass together. They would tell you for sure how much you are in love with your couple at those moments. Love is not always should be shown by saying “I love you.” Sometimes Acting it could be much better than just saying it. Telling romantic words could be done every time but designing a romantic bedroom as a surprise would not just take your time, but also your energy. There is no reason for your couple for not appreciating it more and feel thankful to have you in this universe. Some ways like hanging romantic pictures, putting romantic decals, buying red roses, and installing string lights would not cost much. You could buy the materials like everywhere in the city. So why don’t give it a try?